Memories of Iraq Sanctions are Still Raw - World Beyond War . . .
On January 16, 1991, with Iraqi troops still ensconced in Kuwait, Operation Desert Storm, led by American General Norman Schwarzkopf and joined by thirty-two UN countries, commenced with the first fighter aircraft being launched from the Persian Gulf, headed for Baghdad. Sanctions continued for thirteen years—1990-2003—until long after the Iraqi government had pulled out of Kuwait. Hero Anwar Brzw, along with her brother, was a student at Salahaddin University in Erbil, Iraq, part of the northwestern area of the country – Kurdistan. Iraq and Kurdistan have a long history of disagreements and rebellions going back to shortly after WWI, when the Ottoman Empire was split as the spoils of war, and the British took over this area. This is a retelling of her story of the terror of war and of the inhumane effects of sanctions on the Kurdish and Iraqi population. Kuwait was invaded in 1990. We who would pay were afraid of this attack. We knew it was wrong for Iraq to invade Kuwait, and we knew the price would be paid eventually by us, the people, not those in government who started it. I was a student at University, and students were leaving. “Better to be home when there is an attack,” they said. In the beginning the imposed sanctions hit us hard. It was a great shock. Previously in Iraq basic costs of essential items were not expensive, but immediately prices doubled, tripled, and then they skyrocketed unrealistically. People naturally became acutely concerned about the most basic need of life, food. This became meshed with another excruciating insecurity—a waiting for war. For most of us the coping strategy in the beginning was to use our savings; then, when they dried up, to sell whatever we could. In Iraq, by routine we ate three times a day and snacked in between. Gradually this changed to two meals per day. In Iraq people usually had tea ten times per day. Suddenly we could not afford this, even though tea is not expensive. Imagine not having enough food on the table to satisfy you, eating just to survive. In my family we could survive in the beginning, but in the last two years of sanctions we left the table hungry, for two years continuously. There were other families whose children fainted at school from lack of food. A teacher in a vulnerable area said that each day three children on average would be taken to the hospital due to malnutrition. Baghdad punished Kurdistan by limiting our electricity to one or two hours per day. These restrictions continued for years. My mom baked bread during that hour, so that there would be bread for breakfast the next day. We couldn’t afford to buy bread from bakeries as we used to do prior to the sanctions. Fuel was a great problem as well. We had a gas oven but we couldn’t use it, due to restrictions from Baghdad on kerosene. We made ovens out of recycled aluminum cans with one electric strip to use for a heater and another for baking. In a time of plenty, you would not eat that bread because it was not good, but because we were so hungry, it seemed delicious to us. All the nice food stopped: snacks, sweets, and fruit. Psychologically we felt insecure all the time. It was so painful to eat that soup. We were crying, then trying again to eat it. One whole meal wasted. We just couldn’t eat it. But for the next day Mom reheated it. “I cannot throw food away,” she said. How tough to give us food she knew we didn’t like, and couldn’t eat! After all these years I still remember it. All the public service sectors were less effective due to the sanctions, including the health sector. Prior to this time, hospitals and medical services were entirely government supported, even for chronic diseases and hospitalization. We also received free medication for all complaints. Due to sanctions, there were fewer choices of all types of medications. 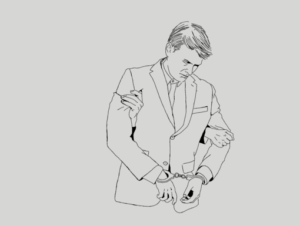 Available medication became confined to restricted categories. The diversity of options became restricted and confidence in the system naturally waned. This affected surgery as well as general health. After the sanctions began, lack of food caused more health problems. Malnutrition became a new load on the hospital system, while the system itself had less medication and equipment than in the past. To compound the difficulties, winter in Kurdistan is very cold. Kerosene was the main means of heating, but the Iraqi government only allowed kerosene in three Kurdish cities. Elsewhere it was snowing and we had no means of heating our homes. If people with ingenuity tried to bring ten or twenty liters of kerosene from areas under Baghdad government control to areas without fuel, the fuel was taken away from them. People tried carrying such weight on their backs to get through checkpoints; sometimes they succeeded, sometimes they did not. One person had the oil poured on him and set alight; he became a human torch to deter others. Imagine if you had no access to products from another city in your country! The internal sanctions against the Kurdish people were even more severe than the international sanctions. We couldn’t buy dates legally. People risked their lives to bring dates from one part of Iraq to another. We couldn’t have tomatoes in Erbil, although in the Mosul area, not more than an hour away, there were greenhouses where they grew tomatoes. The general sanctions continued until the fall of the Saddam regime in 2003. However you should know that the sanctions fell on the people – the innocent Iraqi people – not the regime. Saddam Hussein and his allies could buy all kinds of alcohol, cigarettes and so on – anything that they wanted, in fact, the very best of everything. They did not suffer from the sanctions. The sanctions imposed on the Iraqi people by the so-called “greatest nation on Earth,” the United States of America, killed very many people, not only by bombs and bullets, but also by starvation, malnutrition, exhaustion, unavailable medicine; children died for lack of food and medicine. What is described is in fact a huge war crime. There were also Kurds and Iraqi people who killed themselves in desperation, because they couldn’t provide enough for their families. Their names are not added to the list of victims. Then there are the people who borrowed money from others that they couldn’t pay back; they were humiliated and threatened and often driven to suicide. From the beginning we knew that the sanctions did not change the regime: it didn’t become less violent because of the sanctions! They had weapons to use against the Iraqi people, they used them, and they hurt us. It does not make sense except as a dirty political game. Ostensibly it was about the invasion of Kuwait, making sure that Saddam did not attack other countries and use the Weapons of Mass Destruction that Saddam was supposed to have stored somewhere. The US only needed to sanction the weapons industry. Yet what the US did was to block vital medicine and food from coming into Iraq, endangering the lives of innocent Iraqi people and leading to hundreds of thousands of deaths from malnutrition and lack of medical care. A traumatized person with no opportunity for healing, and no access to counseling, cannot see clearly. He sees everything with “US” printed on it and hates the US. He thinks the only opportunity for revenge is through military action. If you go into countries like Iraq, Afghanistan, or the many other countries that have suffered from US policies, carrying your US passport can put your life in danger because of the inhumane actions of the US government. Raising awareness enables people to say “No” to injustices. This is what we can do. 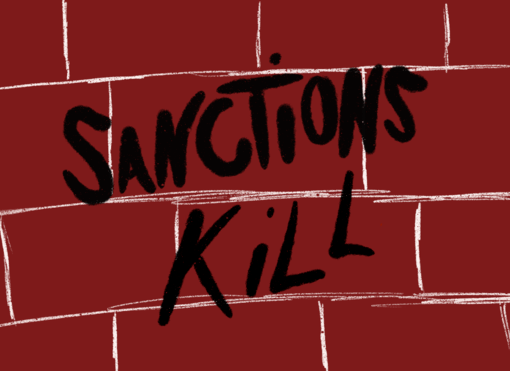 Sharing these stories is our way of warning the world about the often untold, unseen human consequences of sanctions. Hero Anwar Brzw was born on May 25, 1971 in Sulaymaniyah in Kurdistan, Iraq. She got her bachelor’s degree in civil engineering in 1992 at Salahaddin University in Erbil, Iraq. She is the Deputy Country Director for REACH(Rehabilitation, Education and Community Health) in Iraq. Gayle Morrow is a volunteer writer and researcher for World BEYOND War, a global, grassroots network advocating for war abolition. Gayle assisted with light editing and proofreading on this story. This collaborative work was the result of many volunteers’ input in the transcribing and editing process. Thanks to the many unnamed World BEYOND War volunteers who helped make this piece possible.